This article directly follows part #1, wherein all ye contexte iƒ explaineþ. It’s almost completely a technical tabletop RPG article. This is an ongoing design work, as our Baldur’s Gate character profiles glacially progress. Tweaks get done as needed for spells in the game. And one key number is still missing (the pool size per AP). We’re going to abbreviate this as VGA magic, so I can resist quoting Awkwafina lyrics. VGA magic draws from the magic described in Jack Vance’s Dying Earth stories . The first two novels in this cycle were published in 1950 and 1966. 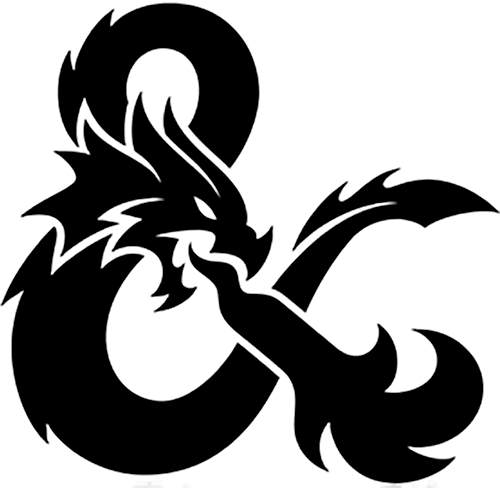 It was then codified by Dungeons & Dragons designers Gary Gygax and Dave Arneson as the way magic functioned in traditional (A)D&D rules. There are two main types of magic, wizardry and divine magic. Let’s start with wizardry. Magic exists in the form of set “recipes”. A given “recipe” (a spell) will always attempt to have the same effect, will always use the same ingredients and invocations, etc.. Spellcasters cannot do improv, they have to use “packaged” spells. You could also compare it to sheet music, where you have to play exactly what’s on the page. Spells may have cool names, such as “The Excellent Prismatic Spray” or “Phandaal’s Mantle of Stealth” or “Tasha’s Hideous Laughter”. Or generic names, like “Fireball”. Spells have to be studied before they can be cast. This isn’t unlike installing an app. Studying and memorising a spell “charges up” the wizard with the corresponding form of magical energy. This energy can then be released by casting the spell. Once a spell has been cast, it is gone from your mind. You have to study/memorize it anew to “load” it up again. But it is possible to spend additional time and effort to memorize several castings of a given “recipe”. A given mind can only hold so many “loaded” spells. The more powerful the wizard, the more spells they can study/memorize. And the more powerful the wizard, the mightier these spells can be. In contrast, the mind of a beginner cannot hold the energy for even a single casting of powerful magic. They are limited to a few, or even just one, simple spell. The energy to study, memorize and cast spells is refreshed by sleeping. Thus, an adventuring wizard will start their day by determining their “loadout” for the day. It will draw from the répertoire of “recipes” they know. They will then study and memorize the selected spells, “filling up” their mind with the corresponding magical energy. Then they’ll get to use this set selection of spells through the day. Knowing what to cast from the day’s loadout, and when, is half the battle. In many ways, you can think of spells as mission-specific grenades, and of classic D&D wizards as guys with a grenadier’s bandoleer. They pick what to equip in the morning, throw selected grenades when appropriate, and can’t refill the bandoleer until they go back to the supplies sergeant. More powerful wizards have a much bigger bandoleer with more powerful grenades. And they can pick and choose from a broader selection of grenades. This harkens in part to D&D’s origins as a wargame. Priests and other users of divine magic follow comparable rules. The main difference is that they don’t have a spellbook. Rather, they pray and receive the corresponding spell energy from above. It’s a bit like picking from a streaming service as opposed to having a collection of DVDs. Thus, divine magic users lack a weak point. They don’t have a spellbook to steal or destroy. But they also are limited to the spells their god(s) make available to them. And a god of, say, love and pretty flowers will not provide his mortal agents with the same spells as a goddess of scornful wrath and the netherworld. Traditionally, “clerics” (a generic shorthand for divine magic users) have more of a defensive, supporting role than wizards. This is because they usually have a much better access to spells that heal, which are quite important to adventuring parties. Their colleagues will likely prefer that clerics load up on magic that cures wounds, that heal disease, that summon restorative food and drinks, etc.. Thus making everyone safer. Spellcasters have various other capabilities, even back in those ancient days of gaming. For instance they can enchant magical items or, especially in the case of wizards, design new spells. For simplicity’s sake, use the standard DC Heroes RPG Occultist Skill rules when dealing with such applications. It is possible to discuss adjustments in order to maintain the D&D vibe. For instance, Rituals that are fast and cheap to cast will likely step on the toes of VGA spells, and thus shouldn’t be allowed. But such Rituals could be useful to model some class abilities, cantrips, or some not-usually-used-by-adventurers blessings. Likewise you can peruse the old rulebooks for logistical constraints, or just keep things more free-flowing. A typical example would be how much attention to pay to the spellbook. 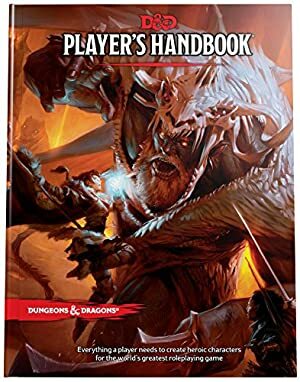 With all the old rules about how much it costs, what sorts of supplies one needs to copy spells, how many spells it can contain, etc..
Ditto for the in-D&D requirements to create magic items. These mechanics are much less necessary in a RPG system with balancing metacurrency — Hero Points — but you could draw from them for colour. Likewise, our proposed modelisation of VGA magic doesn’t discuss being limited to light or no armour, having to stand in place to cast, etc.. This allows for more flexibility, and stays in line with a DCH-centric approach where spells are more like super-powers. Not wearing armour could be a Limitation of the VGA Sorcery Power used by a wizard. But not every Character is thus limited. And if one goes that way, why don’t superheroes who do not wear body armour get a Limitation to their Powers, too ? Likewise, we’ll assume that so-so martial skills, only using simple and small weapons, mediocre physical durability, etc. for trad wizard types are simply the character concept. If a given character doesn’t follow such traditions, perhaps they would be modelled in D&D as dual-classed, multi-classed, having a non-standard class, etc..
We’ll also ignore the time necessary to memorise spells. I suspect that most D&D groups did, as these rules become weird at high levels. And the minimum Intelligence scores to cast, since it doesn’t translate. Here again we’ll first review the core concepts. VGA spells are built much as if they were a Artefact with the Grenade Drawback. This prolongs the grenades bandoleer metaphor, and provides a proven costing framework. Costing spells is important, since that provides us with another numerical estimate of their power. VGA spells are their own AV. This is considered a 0 FC Bonus, even if you have house rules about other Powers being their own AV. In some respects, the wizard is a just a conduit for the spell, which has a fixed form. VGA spells cannot be used on their own. They need a “launcher”, the Sorcery (VGA) Power. Clerics and Wizards both use the Sorcery (VGA) Power. The difference is whether they take the Spellbook Limitation (-0 FC). A given VGA spell cannot have more APs than the caster’s Sorcery (VGA) Power. The Sorcery (VGA) Power also determines how many points’ worth of VGA spells the Character can have memorised. Thus, the Sorcery (VGA) Power acts much like character level. It determine the power and number of spells the Character can cast. Just like a Artefact that Cannot Be Taken Away. Normally the Reliability Number is zero (+3 FC), but you can of course introduce unreliable spells. You then apply the Grenade Drawback – that is, the Ammo: 01, No Reload Drawback. See the Drawbacks writeups.org article for more about Ammo. We suggest using the -3FC costing approach for Ammo: 01 No Reload, since that handily cancels out the Reliability bonus. Factorisation oh ! A VGA spell doesn’t require any APs of BODY, being information. Having no BODY it can’t be damaged, doesn’t need maintenance or repairs, etc.. But on the other hand, it can only be used from the pool of a Sorcery (VGA) Power. The Spellbook Limitation can also change the divisor (see below). VGA spells can be assigned a School of Magic, denoting their general function. Schools are also used by specialists (see the Accuracy section). Invocation/evocation (mostly energy-based offensive and defensive effects). Unlike most Artifacts, VGA spells may require time to use. Some spells can’t be cast within seconds. Likewise, some VGA spells will consume material components, which isn’t the case with most Artefacts. We’re not going to use it much as part of the Baldur’s Gate work, though. The game dispensed with material components. Money amount and availability FCs can take, so a hard to get component worth 200gp is -4 FC. “Can be bought in a large town” includes special orders placed with an artisan, which will take time to be crafted. ”Very specific” is when you start going “uh, how am I possibly going to procure this stuff ?”. Components are consumed when casting, except if it’s a holy symbol. The gold amounts assume a fairly stingy campaign. In Scrooge McDuck-endorsed campaigns, increasing the sums will be necessary. Some VGA spells last a while once cast. This is usually the case for buffs , such as the Armor spell. In such cases, buy the duration as a separate Power – a bit like one can buy raw EV for an Artefact or Gadget. Duration is BC 10, FC 1. Sorcery (VGA) cannot cast a VGA Spell with more APs than it has. If a Character has Sorcery (VGA): 06, they cannot cast a spell that has a Power (or Attribute) of 07 or more. This limits applies to all AVs, OVs, RVs and EVs of the spell. Sorcery (VGA) gives the Character a pool equal to its APs time XXXXXXXXX. This represents how many points of VGA spells the Character can have memorised/loaded up. Thus, the Power doesn’t do anything in itself. It is a launcher, a platform for VGA spells. For “linearly additive” Powers, the cap applies to the final value. A Force field: 02 VGA spell over a BODY 03 subject is considered to RV 05 for Sorcery (VGA) capping. The GM may allow for Pushing the Sorcery (VGA) Power, to cast bigger VGA Spells than the nominal APs in the Power indicate. This isn’t too D&D, but it opens interesting possibilities. This should be decided beforehand, and might increase the FC of the Power by one. For non-combat applications, such as communication or perception, using the likes of Special Range Bonuses to remain under the APs cap is usually acceptable. The latter is because not all APs are comparable in DCH. 20 APs of Radio Communications is a completely different proposition from 20 APs of Mystic Blast. So having a spell emulating Radio Communication (such as mind-to-mind communication using small magic items, as done by Janissa the Widowmaker) with, say, a +12 Special Range Bonus is fine. Even though that’s kinda cheating since APs of Radio Communication do little but Range. After at least six hours of sleep, a Character can select a new loadout to fill their Sorcery (VGA) “pool” for the day. Before that point, they have to make do with whatever is left in the previous day’s pool. For expediency’s sake, memorising spells to fill the refreshed pool is assumed to be done as the other characters in the party carry out their own morning routines. Having to spend more time than that would be a Limitation. With the Spellbook Limitation, a Character with the Sorcery (VGA) Power can only memorise spells that are properly documented in their spellbook. They need to peruse the spellbook whenever a spell therein. A spellbook can eventually, by hunting down and copying “recipes”, represent a much more versatile toolset than the selection of spells available from a divinity. The Hero Points total of the VGA Spell remains unchanged. They still take as much “room” in the Sorcery (VGA) memorisation pool. But when buying the Artefact, its Divisor is not 4 but 6. Wizards records “recipes” in spellbooks. It’s not necessarily a book – for instance it could be cases of scrolls, or knotted strings, or whichever. It’s simply a medium they use to store special magical information. A spellbook is usually unwieldy and costly. A spellbook with many rare spells could be priceless. It is possible to copy a spell. For instance Tina the Thaumaturgist could let Wally the Wizard write in his spellbook a spell that’s in her spellbook. Once it’s done they will both have this “recipe” in their spellbook. But it is possible to make mistakes, since this is *exact* and lengthy information and you must understand what you’re doing. A spell with mistakes in its transcriptions will, at best, not work. Adventuring wizards will likely copy the spells they use in the field to a travelling spellbook. A travelling spellbook is much less detailed and thus easier to carry. Of course, there’s a trade-off about how many spells you can have in your field spellbook, and how much gear you carry. “Clerics” do not use the Spellbook Limitation. This removes a significant risk. On the other hand, buying a VGA Spell is more expensive in terms of Hero Points, limiting the breadth of their arsenal compared to the Spellbook Limitation. Furthermore, when the Gamemaster decides whether to approve a proposed VGA Spell, they also need to check thematic coherence. It needs to fit with the divinity’s portfolio. A generic toolset of spells (particularly healing and protection stuff) tends to be available from all divine patrons. But the more powerful divine spells get, the closer they must hew to the theme. Normally, a VGA spell’s EV is set – these are the Power’s APs. However, specialising in a School of Magic makes it possible to apply an Accuracy Skill to spell casting for that school. Accuracy (Invocation/evocation VGA spells) would be the traditional example. Since this not the AV of the spell, but the caster, it can exceed the caster’s APs of Sorcery (VGA). It’s in fact the point. Only one such Accuracy Skill can be developed by a Character – since it represents a specialisation. The previous D&D article had tables providing a sense of scale for key DCH numbers per (A)D&D level. There prolly is a joke to be made about “linear fighters, decimal-exponents-of-1,000 wizards” but let’s move on. An old-school D&D party will be using tactics where the more fragile spellcasters are in the back ranks and out of the way. This also means that they’re much less likely to spend Hero Points defensively. Thus, assume that they’ll tend to spend Hero Points to magnify the effects of their spell. This means in turn that spells can pack more punch than their APs suggest. A fighter can’t spend HPs on each of their glaive-guisarme blow, but a mage has only so many spells a day and must make each one count. OTOH, that we’re using a points pool means that spellcasters can finesse. They can optimise costs to have spells that are efficient but cost fewer points, thus casting more. But their amount of HPs remains the same, and so such spells are less decisive. On the gripping hand , this is meant to allow spellcasters — especially low-level ones — to be more active. Which is good. In the basic version of this rule, we’re skipping disruption. Which is the part where somebody ruins a VGA spell by hitting the caster hard enough while they are casting. This is to stick close to the spells-as-magical-grenades framework. Since the more one gets away from it, the more playtesting is required to ensure that the system still works. Simply having the pre-LDD RAPs lowering the APs of Power of the VGA spell that was getting cast may work. For spells that have a more-than-a-Phase casting time, this can occur naturally. For within-the-Phase VGA spells, one may design a Combat Manoeuvre specifically for VGA spell disruption. This would represent specifically timing one’s attacks to interrupt. It likely would require having Initiative over the caster. From then you can fine-tune for balance, and to make sure that traditional tactics about keeping spell-casters in the back ranks and the like still work. Writeup completed on the 1st of October, 2018. The vast D&D bric-a-brac, though more recent material is prolly the simpler choice.